There are so many places and things to see and do when on vacation in our area. Here we made a list of 10 of our favorite things to see and do for both adults and children, while enjoying your vacation. 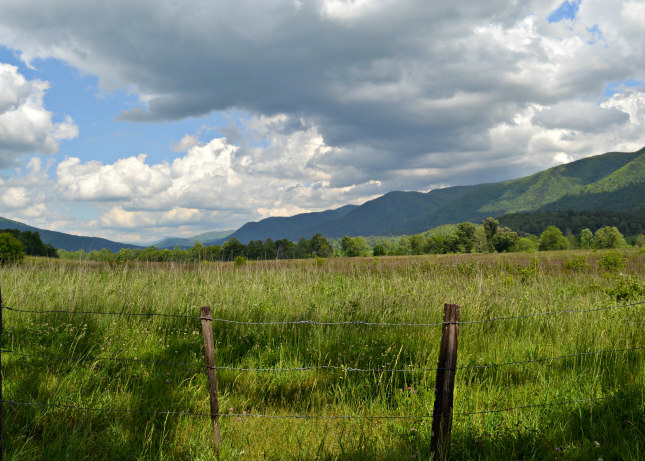 Cades Cove is a must do while in the Smokies. The cove is located about 1 1/2 hours from the cabin. There are two routes to the cove, one through Wares Valley and the other going through Gatlinburg. 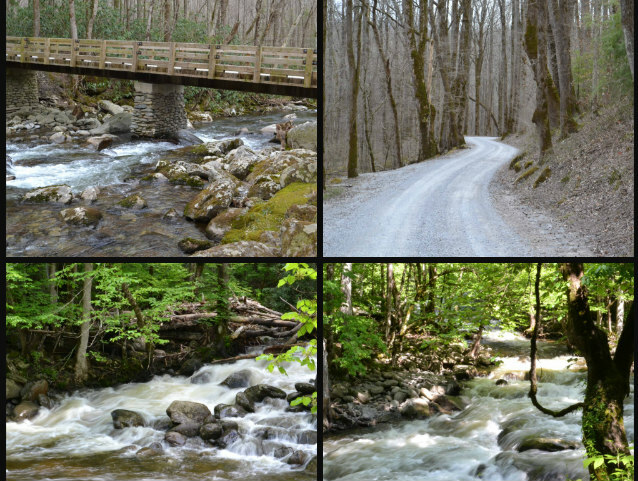 We feel the route through Gatlinburg as being the most scenic with many attractions along the way including many pull offs with waterfalls. The best time to see the unbelievable amount of wildlife is either in the morning or later in the afternoon. Bears galore. 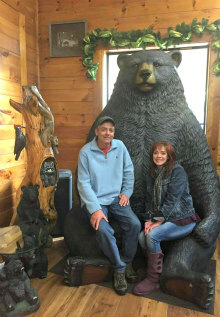 Roaring Fork is probably the best place to see bears other than Cades Cove. The best part is that the entrance to the 5.5 mile loop one way road is only about 15 minutes from the cabin. Roaring Fork holds the trailheads for the popular Rainbow Falls trail and Grotto Falls trail. Everytime we go to the cabin we drive this. Just a beautiful place. This motor trail is closed in the winter, once you drive it you will see why. 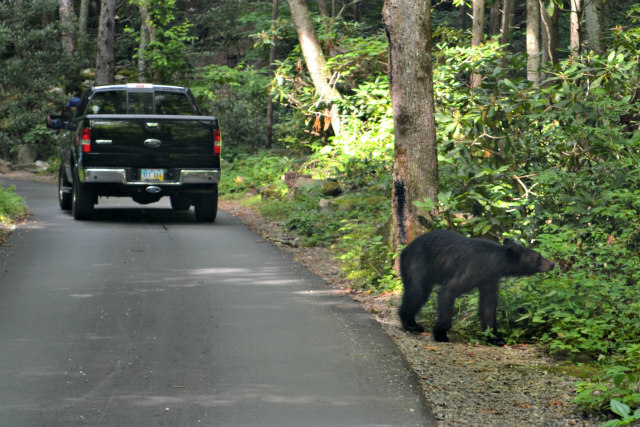 Once in Gatlinburg, drive into the park and keep going until you see a huge parking lot. Very windy road to an unbelievable view(5048 above sea level). Bring a jacket, it’s much colder and windy up there. 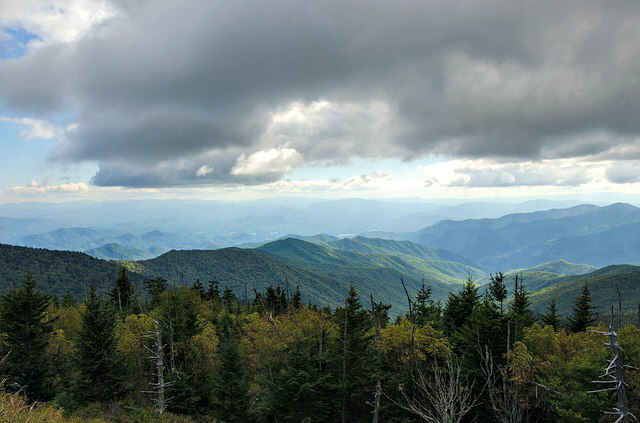 This is also the way to Clingmans Dome, the highest point in Tennessee. If you keep going over the mountain you end up in Cherokee NC. There is a casino there, Harrahs if that is your thing. You can get to Cherokee from Gatlinburg in about an hour depending on traffic. 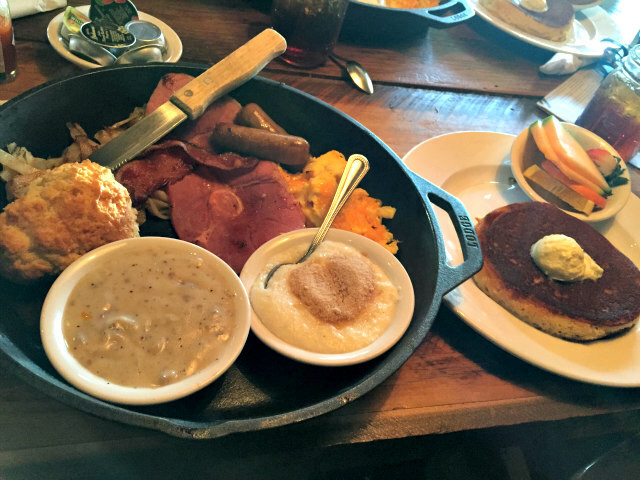 Crockett’s Breakfast Camp is hands down our favorite breakfast restaurant. It is located on the Gatlinburg Strip towards the park. The atmosphere as well as their ‘skillet breakfasts’ are to die for. Bring your appetite because servings are big in the south. Parking is not all that great, you either get lucky gathering a spot beside or behind the building or you have to pay at the lot right behind it. Still, completely worth it. 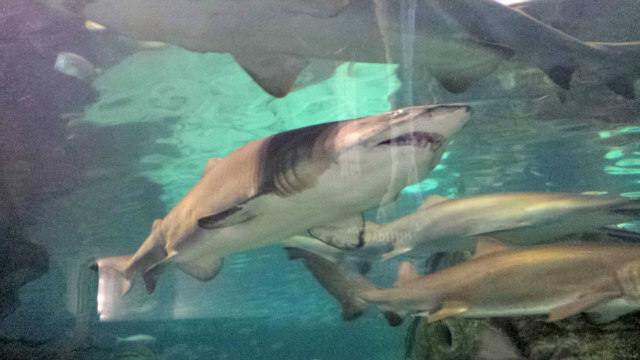 Ripley’s aquarium is one of our favorite places! We spend countless hours watching the wildlife. Every hour there is a show downstairs when the staff swims with the fish, pretty neat. Tickets can be pretty pricey, but if you are going to visit any other of their attractions you can save by buying them all together. Otherwise, buy your tickets online and save some money. Greenbrier is one of the most beautiful parts of the park. It is located about 5 minutes away from the cabin. Driving through the roads deep into the woods makes you feel so small. The trees are enormous. The mostly gravel roads take you six miles over wooden and stone bridges above rushing creeks and rivers. There is a picnic area about half way through that is really nice, and it isn’t packed. If that one is full once you get to your first left hand bridge, keep going straight and there is another one up that way. This place is awesome. To get there head towards Rt 321, take a right and your next left over the bridge in the entrance. If you came to the cabin from I40 through Cosby you drove by the entrance to the Cosby side of the Foothills Parkway. 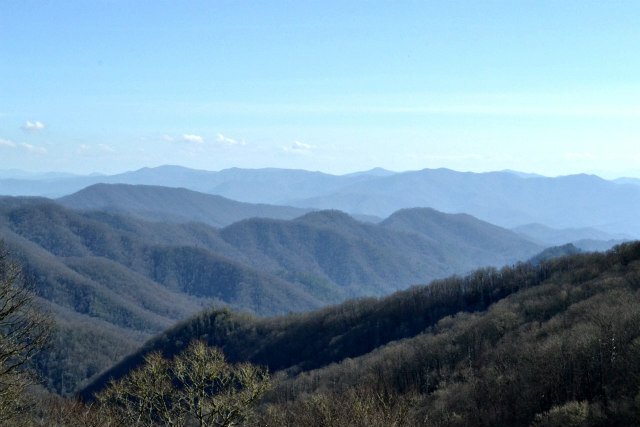 Foothills Parkway’s initial plan was to build a 71 mile parkway from I40 to US129. Only one-third of the parkway has been finished due to congress not delivering the funding. There are two portions that deliver incredible views. The closest one to the cabin is in Cosby. I would guess about 20 minutes from the cabin. Just take a left off of Pittman Center Rd until you get to the stop sign and take a left. The entrance will be right around the corner. The other side is in Wears Valley and is just as beautiful. 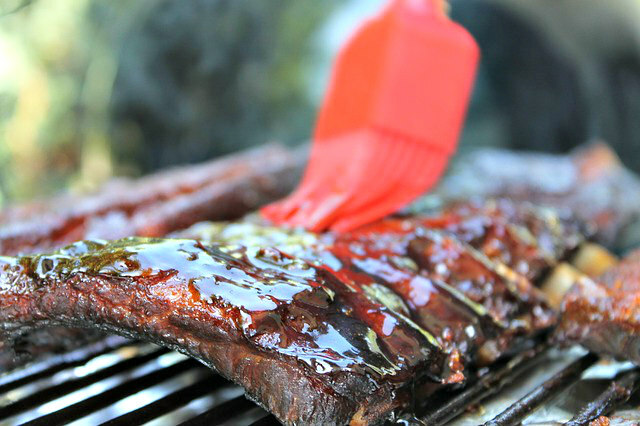 There are so many BBQ places in the Smokies its hard to recommend just one. This one is the closest to the cabin, right across the street from the entrance to the Greenbrier. The food is phenomenal. Everything is good, we normally buy pounds of the sides and eat it throughout the week. Mac and Cheese is delish. Good place to pick up food and head into the Greenbrier for a pick nick. 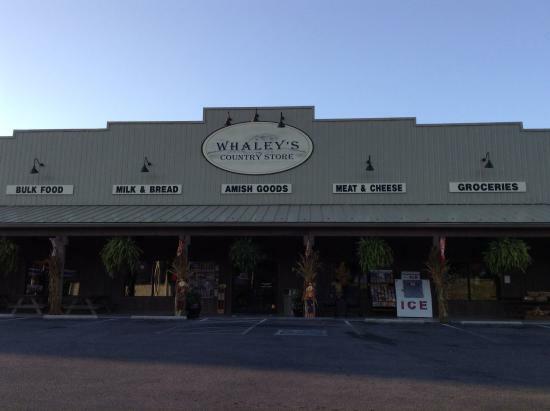 This is our favorite country store in the Smoky Mountains. We go several times every time we visit. The owners and their children are the friendliest people you will ever meet. Our favorite is the cheese and jalapeno/infused sausage. 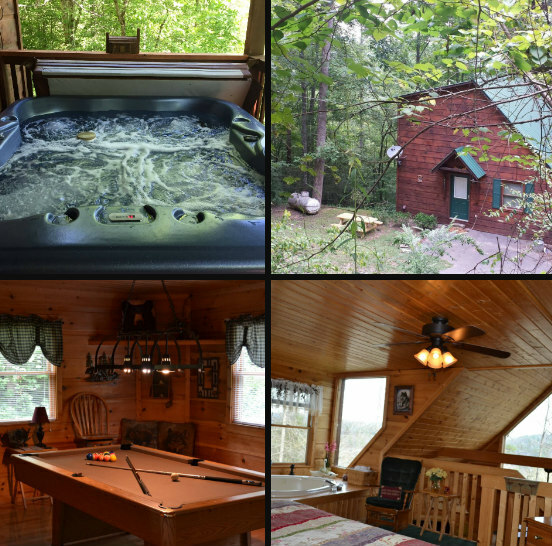 To get there, off the strip in Pigeon Forge take Wears Valley Rd to a right on Waldens Creek. Store is right up the street on the left. Be warned, do not speed through that school zone. I have seen them pull over multiple cars at one time. 10. Relaxing in the Cabin! We just love hanging out at the cabin. It is so peaceful to get away from the city life, even if only for a week at a time. All the people of Sevier County are the most laid back and friendly people you will meet. Give us a call and we will help you any way we can to make your vacation the best ever.